Paradigm Sof-set Ultimate QR With the Sof-set , a soft cannula is all that remains in place. A special adhesive dressing inhibits bacterial growth. Polyfin tubing is used for more compatible drug delivery. The Quick Release feature allows you to temporarily disconnect for swimming, showering or intimate moments. Two types of transparent tape are included in each package. Caution: U.S. law restricts this device to sale by, or on the order of a physician. 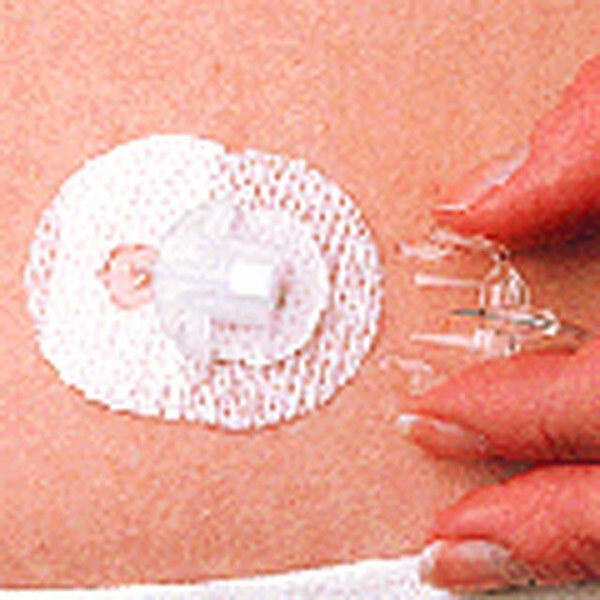 Paradigm Infusion Sets are only compatible with the Paradigm Pump. 42"